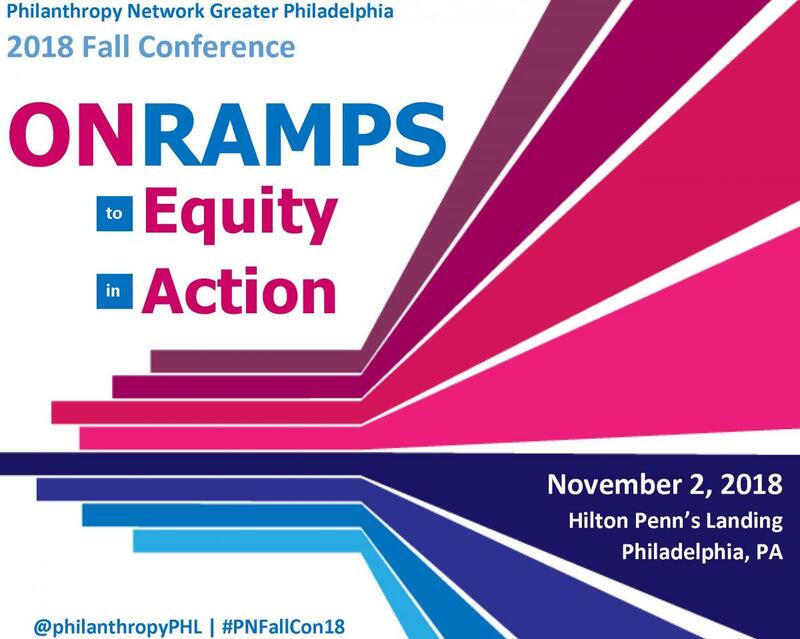 Philanthropy Network's annual Fall Conference is a one-of-a kind regional gathering that brings together over 400 leaders from the philanthropic, nonprofit, corporate, and government sectors from throughout Greater Philadelphia. The event provides a unique meeting place for those of us engaged in building a stronger sector and region to convene, connect, learn and be inspired to think broadly and boldly about new ways to work together to increase our impact. At our conference in 2017, we joined together to engage in a dialogue about how our VISION has been impacted by the turbulent and troubling times we are living in, to reaffirm the core VALUES that guide us and give our work meaning, and to consider how and where we can most effectively use our VOICE to advance a more just, equitable and prosperous region for all. As we continue to navigate a constantly shifting landscape, this year we will focus on ways to we can create ONRAMPS to EQUITY in ACTION that strengthen and empower our shared work in new ways. For representatives of our region's social sector, this year's conference is a must-attend opportunity to connect, reflect and learn alongside colleagues and partners, and be inspired to think broadly and boldly about our work and new ways we can act and invest for greater equity and impact. Plan to arrive early to take advantage of this time to network with colleagues and visit with our sponsors who provide professional services to philanthropy and nonprofits. Trabian Shorters, Founder of BMe Community, will deliver a captivating talk on how we can apply asset-framing to achieve greater success, diversity, equity and impact. Mr. Shorters uses discovery-based learning to impart knowledge from leading-edge global and national authorities on cognition, racial narrative, social innovation and engagement. To effectively leverage existing models to build more caring and prosperous communities, we must first define people by their aspirations and contributions. PLEASE NOTE: At registration, participants will be asked to select one session in each round of the morning breakouts, and one afternoon workshop. How and to what degree we stay informed about our communities is critical to creating solutions for the challenges we face and assuring access to opportunity for all residents. This session will highlight inspiring local news and information examples that are being leveraged to advance civic engagement in Greater Philadelphia, as well as explore how funders and nonprofit partners can participate. Seattle-based Casey Family Programs is the largest operating foundation in the nation focused on collaborating with public and private agencies to improve the nation's child welfare system. This session will highlight the foundation’s partnerships in the Philadelphia region and in York County, PA – part of Casey’s 2020 Building Communities of Hope - share lessons learned about multi-sector partnerships, and describe the strategies that have resulted in systemic change and improvements to increase the wellbeing of children and families. Regional corporate philanthropy leaders will discuss creative approaches to impact through partnerships and offer their predictions for the future of corporate partnerships in Greater Philadelphia. Arts and culture organizations are deeply engaged in social issues than most people realize—including their own audiences and funders. Programming offered by cultural organizations actively helps people who are homeless, returning citizens, LGBTQ, veterans or active military, new Americans, disabled or those on the Autism spectrum to gain skills, make connections and find their own voice. The arts also empower people to learn about, understand and address ever-evolving complex social problems such as hunger, violence and racism. 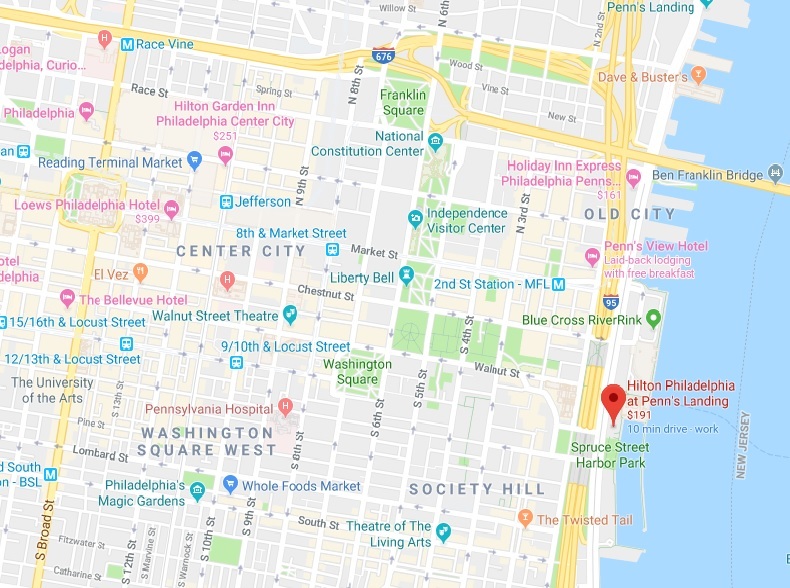 Using data from the Greater Philadelphia Cultural Alliance’s Social Impact Census, attendees will learn the surprising extent of the cultural sector’s social impact efforts and what that work means for organizations, audiences, funders, communities and our region’s future. In order to ensure the highest level of equitable and effective practices, it is essential that we include the voices of those most impacted by any issue in creating solutions. Framed by a successful case study of WOMEN’S WAY’s Women’s Economic Security Initiative, this session will provide attendees with a deeper understanding of how equity informs engagement and programs for nonprofit service providers, funding decisions and other sectors and institutions who work with individuals with lived experience; strategies to deeply and equitably engage with the community; and how to develop an internal culture within their own organization that operationalizes equity through transparency. Organizational leaders across the philanthropic and nonprofit landscape are increasingly striving to embrace an equity mindset, yet we struggle when faced with tackling the deeper, systemic challenges that exist within our own organizations. In this session, participants will be introduced to the Equity Maturity Model (EqMM), a strikingly simple tool that enables organizations to institutionalize their commitment to the assurance of equity. The model identifies 12 measurable dimensions of performance and behavior that constitute equity maturity. Particpants will learn how to leverage the EqMM framework in practice, identify obstacles they may experience in attempting to advance organizational equity, and better understand how an equity orientation can be systematically built and engineered to last. Organizations large and small are increasingly recognizing the advantages of cross-sector collaborations as a tool to increase their impact. This session will share strategies for crossing boundaries of focus areas, between grantees and funders, and among organizations with shared goals. Participants will be led through a process to create a multi-disciplinary diagram to investigate the shared goals and unique resources that each would bring to a collaboration. This session will inform not only arts groups but those who are interested in adding the arts to their toolbox to address areas such as community development, literacy or human services. The inherent power imbalance in funding relationships often serves as a barrier to transparency, equity and, ultimately, greater impact. Design Thinking is a methodology that provides a solution-based approach to solving complex problems – in this case, how funders and requesters can become more open with each other and recognize how each brings equally necessary resources to their shared work. Invoking the five stages of Design Thinking – Empathize, Define, Ideate, Prototype, and Test – session participants will generate potential solutions to issues identified in real time based on collective feedback. 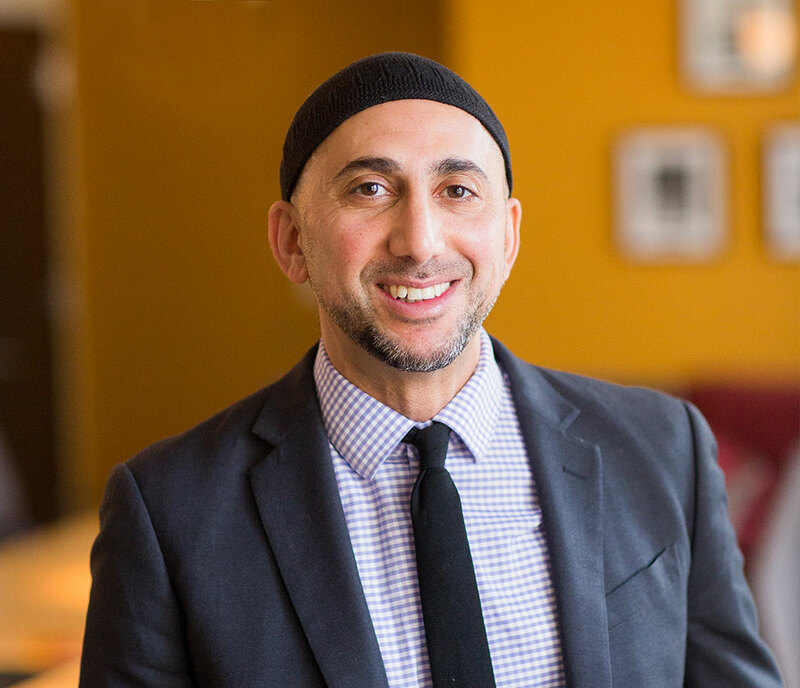 Dr. Rami Nashashibi is a board member of the Seattle-based Marguerite Casey Foundation, the founding and executive director of Chicago’s Inner-City Muslim Action Network (IMAN) and a 2017 MacArthur “Genius Grant” Fellow. As a community leader, Nashashibi builds bridges across racial, religious, and socioeconomic divides to confront the challenges of poverty and disinvestment in urban communities. Nashashibi is an advisor to a number of strategic initiatives across the country and is invited regularly to address national and international forums speaking to a number of issues around faith, identity, social justice, the arts and community-led development. His experience as a Palestinian-American Muslim, training as a sociologist, and skills as a community organizer inform his role as executive director of the Inner-City Muslim Action Network. Founded in the ethnically and religiously diverse working-class neighborhood of Marquette Park on Chicago’s South Side, IMAN fosters community health, wellness and healing. IMAN's numerous programs include a community clinic that provides primary health care and behavioral health services to a largely uninsured and underinsured population and a job training initiative that equips formerly incarcerated individuals with green construction skills through the renovation of foreclosed homes. Nashashibi received a B.A. from DePaul University and a Ph.D. from the University of Chicago. 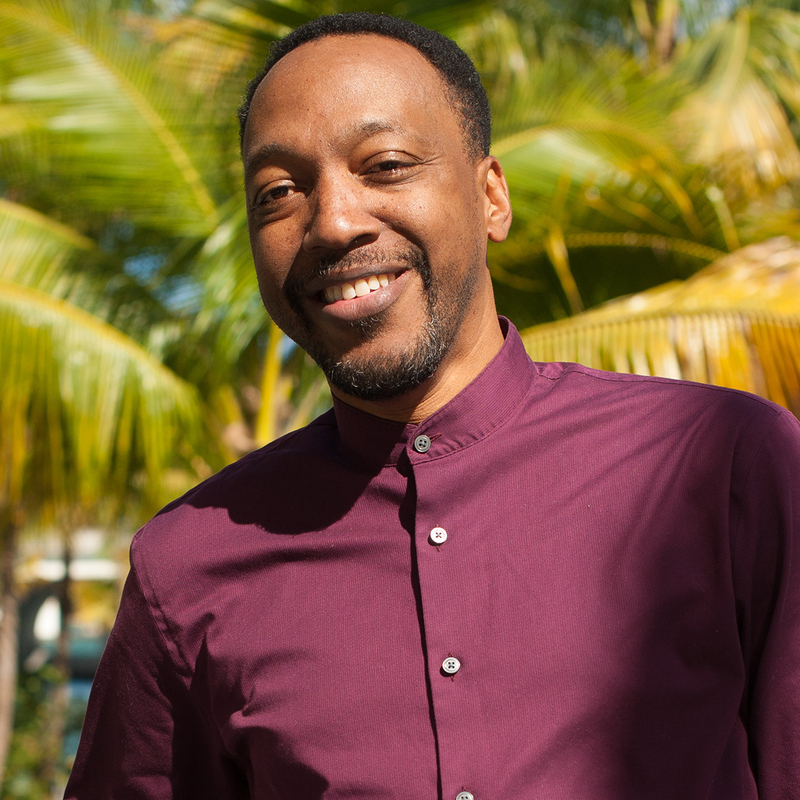 He has served as co-founder and executive director of IMAN since its incorporation in 1997 and taught at a number of colleges and universities across the Chicagoland area, most recently as a visiting assistant professor at the Chicago Theological Seminary. In 2016, President Barack Obama appointed him to serve on the President’s Advisory Council on Faith-Based and Neighborhood Partnerships. Trabian Shorters is a New York Times Bestselling author, social entrepreneur, and the Founder/CEO of BMe Community. A leading authority in matters of Diversity, Equity and Inclusion, Shorters conceived Asset Framing - the shift to narratives that define a people by their aspirations and assets rather than their challenges and deficits. Former Vice President of the John S. & James L. Knight Foundation, he founded BMe Community out of the necessity to revise the narrative of Black men. By reflecting their incredible strength, leadership, and contributions, BMe promotes positive community engagement in matters of race, cities and America’s future. With 194 BMe Community Genius Fellows who work in education, health and wellness, human rights, economic development, justice reform, and more, BMe Community is the largest social entrepreneur fellowship for Black men in the US. Under the leadership of Shorters, BMe Community has recruited 40,000+ Community Builders, touched over 2 million families, won 67 awards, and has a boundless impact on sharing authentic narratives of diverse populations. Named among the world’s leading social entrepreneurs and changemakers for his pioneering efforts in Asset Framing, Shorters was awarded the Pahara-Aspen Education Fellowship, Ashoka Fellowship, and opportunity to work with the Commission for Security & Cooperation in Europe. Shorters has introduced Asset Framing to leading organizations such as the Bill & Melinda Gates Foundation, The Heinz Endowments, The Aspen Institute, and Stanford Social Innovation Review. Please visit the hotel website for details on directions and parking. 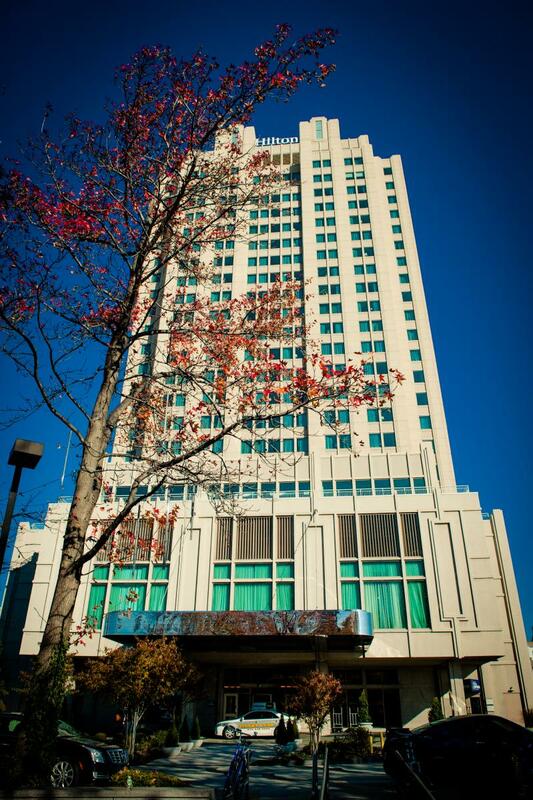 If you have additional questions about the conference venue, please contact the Hilton directly at 215- 521-6500. If you are interested in learning more about sponsorship, contact Shira Hodges at Shira@philanthropynetwork.org or 215.790.9700 x5. Note: We ask that attendees respect the conference environment as a safe space for learning and honest dialogue, and refrain from soliciting funds or business during the event. $190* - Registration fee includes continental breakfast, lunch and all conference materials. *Philanthropy Network members are eligible for a reduced registration rate. Please click here for your discount code. Note: To access this page, you must be logged-in to Philanthropy Network's website. If you have questions regarding registration, please contact Theresa Jackson. Registration will close at 6:00 PM on Wednesday, October 31. A full refund will be provided for cancellations received prior to 5:00pm on Friday, October 26. After that time, if you find you are unable to attend the event and would like to transfer your registration to a colleague, please contact us.